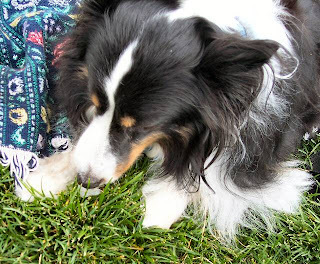 Shhh… don't tell Gracie but she thinks ice cubes are a treat – yippee, a no calorie treat! This was a big weekend for Gracie. It was all about her! Saturday evening she tried her first "pre-agility" class. This class is really going to test her and we may be in over our heads. But I keep reading about how good it is for a dog's confidence and what a bonding activity it is – so we will keep trying. She never ceases to amaze us, so maybe she will be running around the arena after 5 weeks. Right now, she just cautiously steps out into the arena and suspiciously looks about. She doesn't seem to have much interest in trying to copy the show off dogs in the class. Sunday was our first "Meet Up" activity. 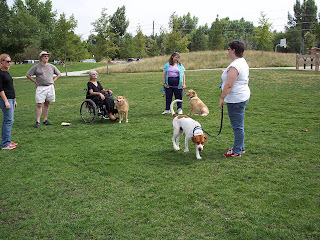 There were about 13 people and dogs that got together in the park for a cookout and short training session. Such nice people and dogs! 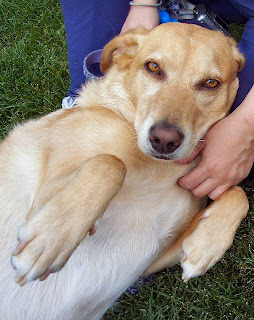 Some dogs were "mutts" and some were not. 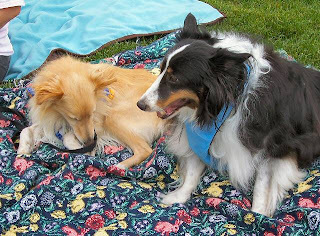 We belong to this Meet Up group, http://www.meetup.com/Mile-High-Mutts/. Gracie is learning that the world has more nice people in it than she met in her first 7 years of life. These people are kind and stroke her and praise her. 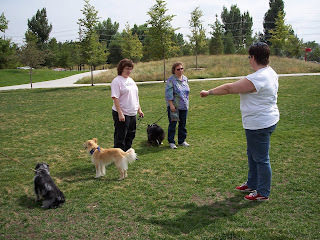 Training for the small dogs - why are they all looking away from the trainer? 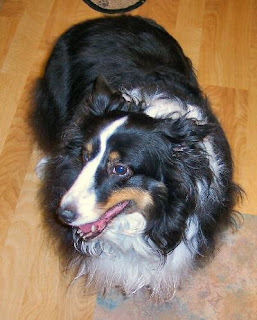 Mom and Dad apologize that it took 8 years for you to finally get a Happy Birthday celebration, but according to your paperwork, you were taken from the puppy mill to a Nebraska City vet on August 18, 2008. We are calling this your birthday!!! 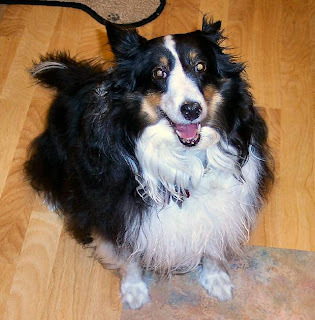 Three Dog Bakery provided a small birthday cake, which is on Gracie's nose and fur – but that happy face says it all. This quote I read from the Jul/Aug 09 Bark magazine, in an article called "Every Adoption Is a Miracle" sums it all up. "Every adoption is a miracle because you are taking something dark, and horrible and making it light again." Gracie is looking into a beautiful sunset at Clement Park. The orange light is beginning to color her white fur. The temperature was in the 80's and lots of people were out enjoying the lake.